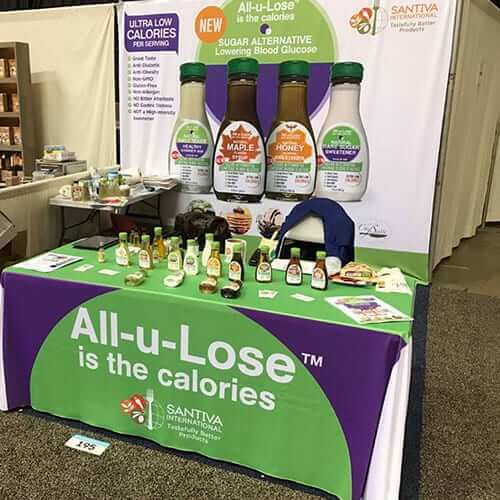 Giant Printing offers reliable and durable backdrops, banners, and displays to Austin businesses – perfect for your next convention, event, or trade show. No matter what size space you are working with, we have the perfect branding solutions for you. Our banners also come with a free carrying bag, so they are mobile and easy to transport from location to location. Fabric signage wins over traditional vinyl in every way. The durability of our designs cannot be beat – they are even machine-washable! Our fabric resists wrinkling so your signage will always look its best, even if you are constantly traveling. 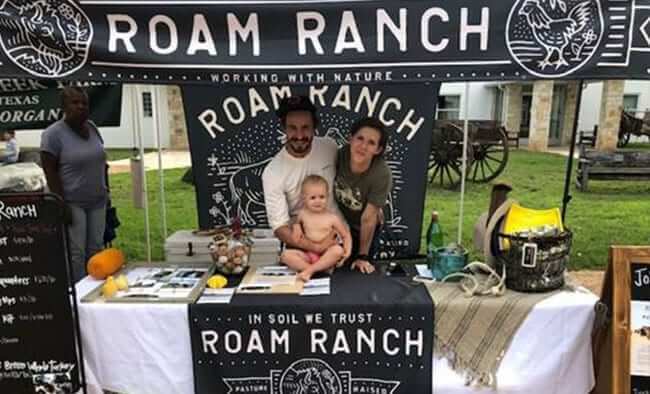 Fire retardant and will never crack, chip, or peel – that is our promise to Austin businesses looking for backdrops, banners, and displays for their next show. Make a great first impression wherever you go with the help of Giant Printing. 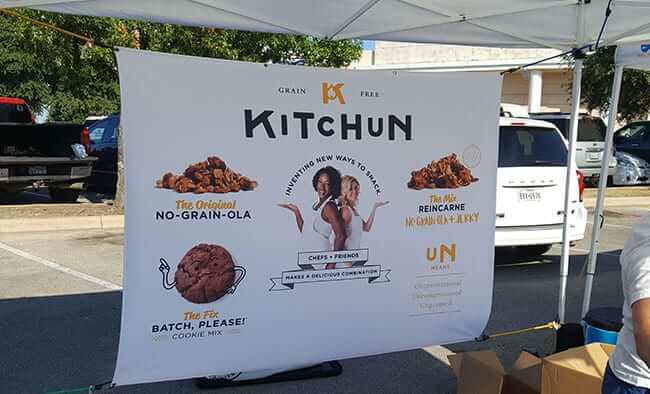 Our fabric backdrops allow Austin businesses to put their trade show in a bag! A backdrop from Giant Printing weighs less than 5 pounds and attaches seamlessly to the hardware we provide. Machine washable and durable, our backdrops defy wear and tear. We custom make your order to fit any booth. A fabric backdrop or display from Giant Printing is completely unique in that it packs away inside your carry-on or other luggage. We help you eliminate the hassle of shipping charges and the prospect of disaster from lost luggage. Our fabric banners are portable, lightweight, and easy to assemble. 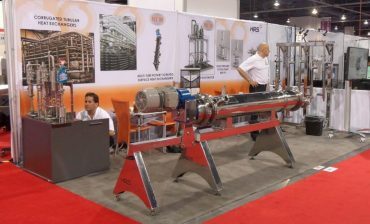 While your trade show cohorts may struggle to set up their banners or displays, you can set up your quality fabric banner in less than five minutes with our provided hardware. Get rid of grommets and the hassle of vinyl displays forever! Once you discover the benefits of a fabric backdrop from Giant Printing, you’ll never want to go back. Are you looking for a smaller way to advertise your business, but with the same impact? Our banners provide the same branding power as a backdrop, but on a smaller scale. The same great quality and wrinkle resistance, but with the benefit of a carrying case. 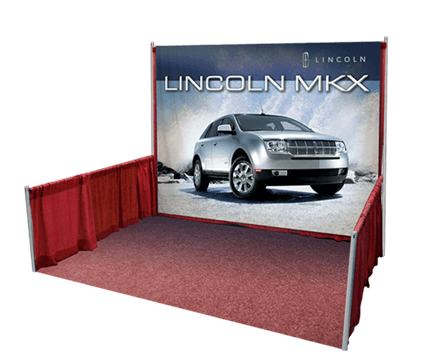 Don’t worry about packing your vehicle for your next trade show ever again – our banners are less than five pounds and fit in your front seat, trunk, or on the floor in the back. What other signage company can provide that kind of flexibility? 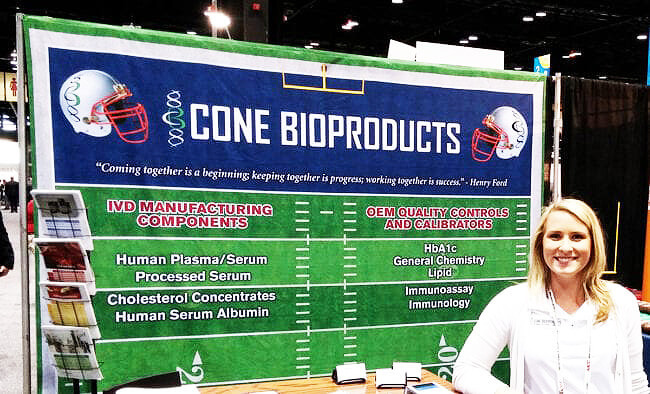 Our trade show banners never crack, peel, or chip due to their fabric construction. You can make a great first impression for your prospects both indoors and outdoors. If inclement weather dirties your sign, simply throw it in the wash and it will be as good as new! That is the benefit of working with a fabric signage company. When you are at your next trade show or event, make the best first impression with a vibrant table cloth. We have hundreds of colors and custom designs available using the Pantone color palate. Your options are virtually endless. We are here to make your custom vision come to life! Like our other products, our tablecloths are wrinkle resistant and machine washable. They will not peel, chip, or fade. The colors will maintain their vibrancy for years to come. Both lightweight and flame retardant, our tablecloths travel well and fit neatly into your trade show bag or luggage. No fighting with hard-to-fold, plastic-y designs – our fabric tablecloths are professional and will help you attract prospects. Look your best, no matter where you go. 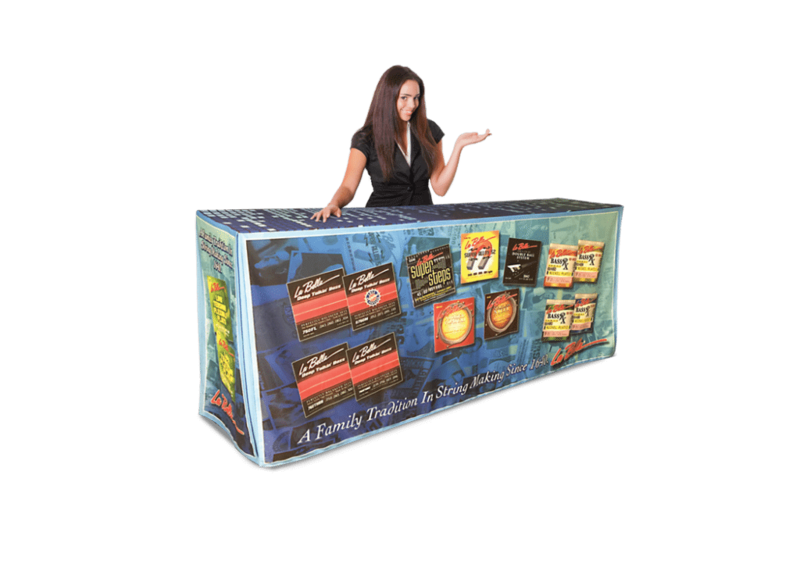 Giant Printing provides the best quality portable displays availableon the market. Deliver impact, high quality, and portability with our easy-to-use-and-assemble displays. 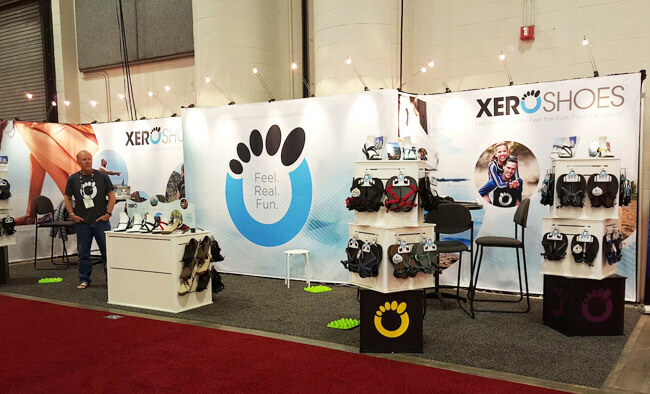 At a trade show, your main goal is to make your brand memorable. We help you achieve that with premium features such as vibrant colors, wrinkle resistance, and more. Best of all, your display goes up in a matter of minutes with the help of our seamless design and provided hardware. 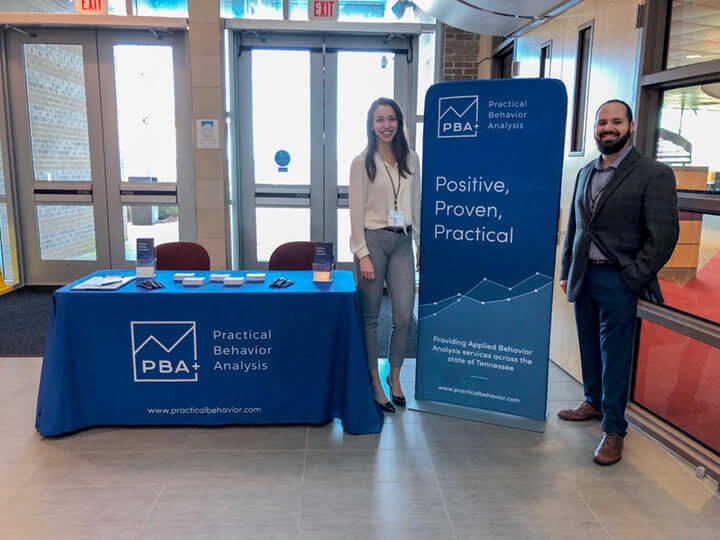 While other participants could spend hours fighting with their displays, you can arrive a few minutes early, set up your display, and begin converting prospects! At Giant Printing, we have everything to help your Austin business advertise at its next trade show, convention, or event. 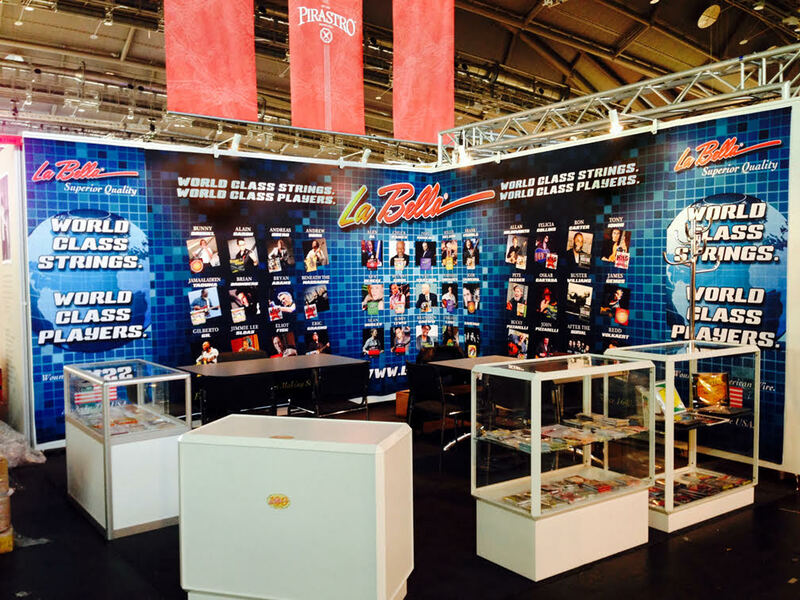 From backdrops and banners to tablecloths and pop-up displays, we help you create signage that converts. If you want to make a great first impression at your next event, simply contact us and request a free quote to get started. There's not a better shop in town for all your trade show needs. The fabric banners and backdrops are super quality and beautiful. Thanks again!